Why are arithmetic problems such as 2 + 2 easy for some children, while others struggle to find the answer? My research focuses on trying to understand why math is so hard for children who have a specific mathematics learning disability. By learning about how the brains in children who have severe math difficulties develop differently from others, I hope that one day we can use what we learn to help all children learn math better in school. When I am not doing research, I enjoy art, camping, and long walks in the park with my dog. I am interested in how our brains process numbers and how we use them. We use numbers all the time. I want to know how the human brain is able to know about numbers and why some children find numbers so hard to understand. What is different about their brains and why do some people find numbers really scary while others love to use them? Masai is 10 years old, and lives in Washington, DC, with his mom, dad, and sister. He likes to write poems, read, and play soccer. He attends Washington Latin PCS middle school. 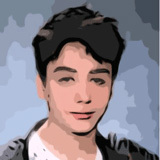 Before middle school, he attended a bilingual public charter Montessori school. 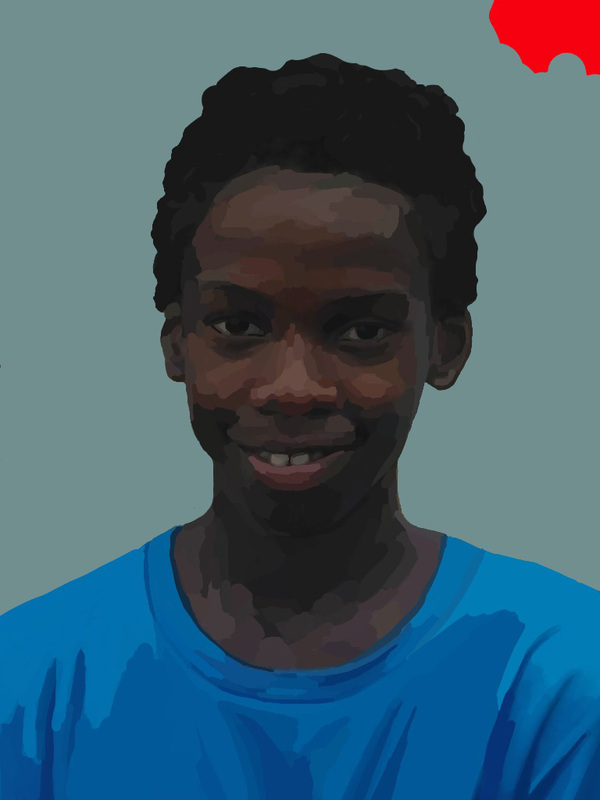 Masai wants to be a programmer, to create apps and websites, and he wants to continue to write poetry as well. Mathematics is a very important subject to learn in school and in everyday life (you know this from dealing with your pocket money or calculating how many days of school are left until the vacations). 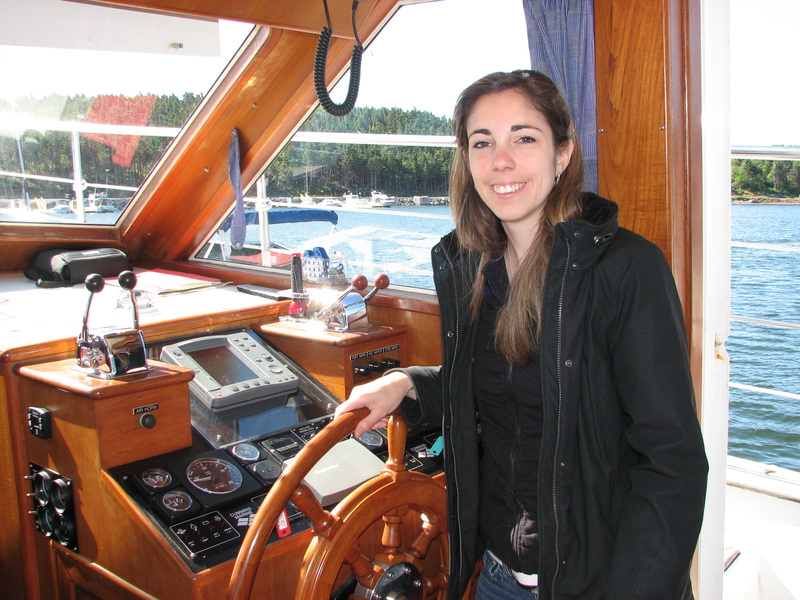 For some kids, it comes very easily – they just get math and enjoy it. 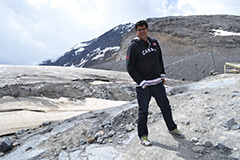 But for some kids, learning math is very difficult, and even if they are given extra help, they find it hard to “get it.” For example, an arithmetic problem such as 2 + 2 can be remembered from memory very easily for some children; but, for others, this problem requires a lot of hard work. 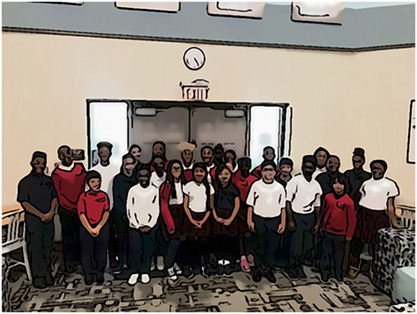 At the same time, these children can be very good in other classes for which they do not need math. Children who have great difficulties learning simple arithmetic problems may have a little-known learning problem known as developmental dyscalculia. Children with dyscalculia have math abilities that are much lower than those of their friends who are of the same age. Also, their difficulties are long lasting, and you cannot explain their problems by poor teaching or by other brain disorders. Even though you might have some problems learning math at different times during class, children with dyscalculia experience a lot of difficulties all the time: they just continue to find it hard to learn math. This is important to know because some children struggle with math for some time but then get it. These children do not have dyscalculia . 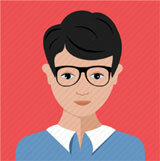 It is only those who continue to have problems have a real difficulty called developmental dyscalculia. It is very common for young children with dyscalculia to use different ways of solving a math problem (such as finger counting), which are very slow, while their friends without dyscalculia remember the answer without counting. For their classmates, the answer just pops into their heads – they have a good memory for the number facts. Why Do Children Develop Dyscalculia? Very little research has addressed this question. It is a very difficult question to answer, because it is a heterogeneous disorder (meaning that there are many reasons for having it and it looks different in different children). At the moment, researchers have evidence supporting different ideas about the reasons why some children find math so hard. Some people believe that the primary reason behind dyscalculia is that these children have poor memory skills; therefore, when first learning 2 + 2, they use counting strategies all the time and do not switch to finding the answer without thinking or using their fingers . As a consequence, they are unable to store the arithmetic fact (e.g., that 2 + 2 = 4) in their memory storage system and cannot quickly remember the same fact at another time. Other researchers have different ideas about what causes dyscalculia. They look at reasons that have to do with our basic understanding of what numbers are and mean. In particular, they think the brain system that helps children understand the meaning of numbers (understanding that the number “3” refers to three things; see Figure 1A) does not develop properly for children with dyscalculia . These researchers think that having problems with numbers leads to difficulties in using them to solve math problems. It is like a jigsaw puzzle: if you do not know how to put the pieces together, you cannot solve the puzzle. Similarly, if you do not know what numbers mean, you cannot calculate with them. Because of this, researchers have been trying to understand why some children find 2 + 2 so hard by looking at how they understand the meaning of numbers. A. What do numbers mean? In (A), the number 3 means that there are three items, such as the three different shapes. Different number activities can be used to measure children's understanding of numbers. B. During dot counting tasks, a set of dots are shown on a computer screen and you are asked to count the total number of dots as fast as you can. 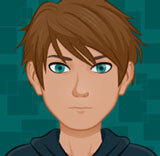 C. In the number naming tasks, you are shown a number on the screen and are asked to name the number as fast as you can. D. The number comparison tasks are administered on a computer screen shown above, where children place their fingers on two buttons: they press the left button if the larger number is on the left side, and the right button if the larger number is on the right side of the screen. 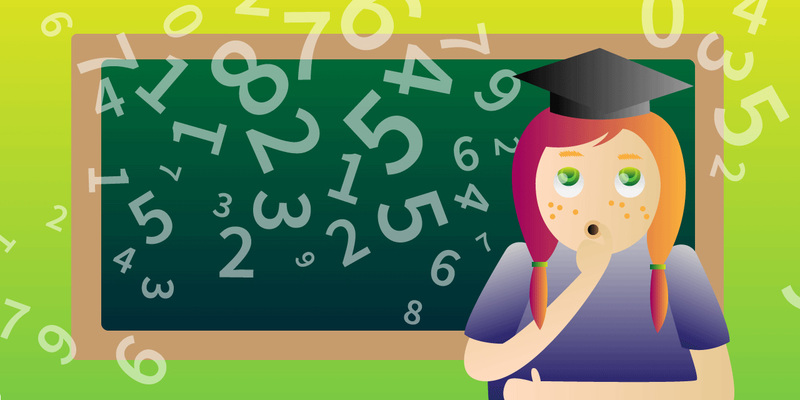 Do Numbers Count for Children with Dyscalculia? There is research showing that understanding numbers (e.g., knowing that the number 2 stands for two things in the world) is problematic for children with dyscalculia and, as a result, they cannot solve simple addition problems like 2 + 2 easily. Researchers have used many number activities to look at how well children understand their numbers. 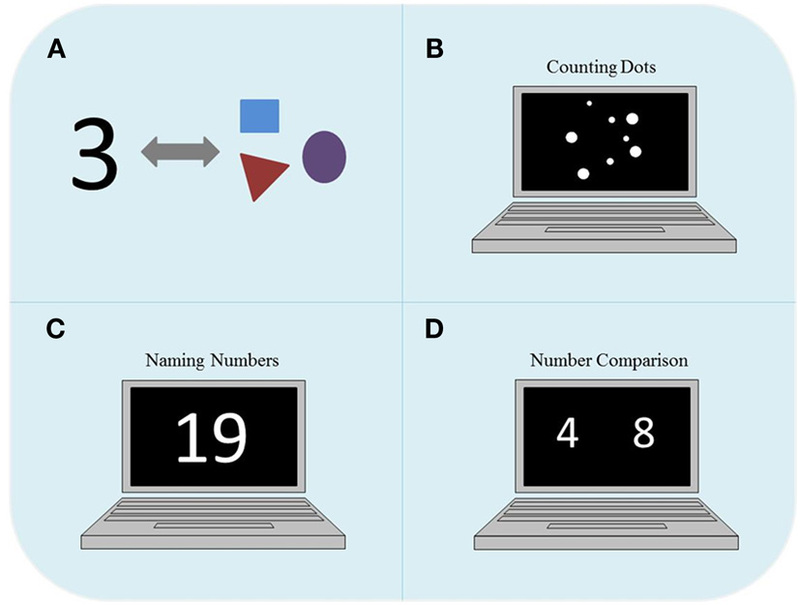 Some examples include the following: counting dots, where children count the number of dots on a computer screen (see Figure 1B); naming numbers, where children name numbers as they are shown on the computer screen (see Figure 1C); and number comparison. Researchers have used the number comparison task a lot to find out how children understand numbers. During the number comparison task, children are shown two numbers on a computer screen (see Figure 1D) and have to choose the bigger number as fast as they can without making any mistakes. Once they choose the bigger number, they press the correct button on the keyboard. All the different activities together tell us how well children understand the meaning of numbers. Researchers have used all these activities to look at how children with dyscalculia figure out the answers differently than children without dyscalculia and who are of the same age. 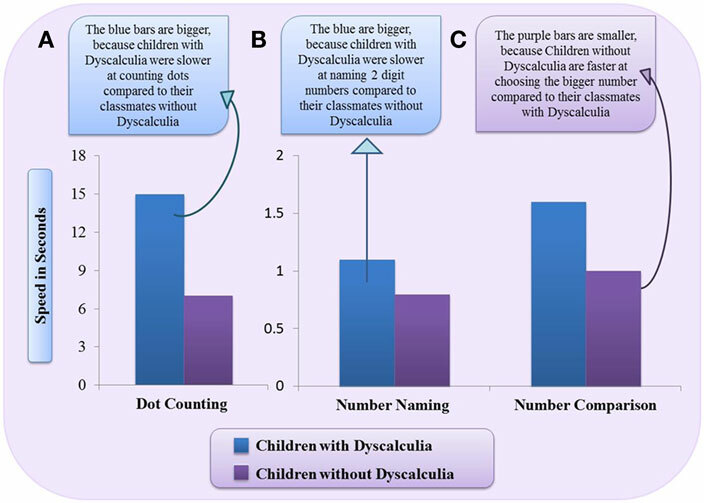 It has been found that children with dyscalculia have difficulties naming numbers and counting dots compared to children without dyscalculia (see Figures 2A,B) . Also, children with dyscalculia are slower and make more mistakes when choosing the bigger number (the number on the screen that means more things) during comparison (see Figure 2C) [3, 4]. These studies show that even in simple numerical tasks, children with dyscalculia have many difficulties, which can lead to poor arithmetic skills. Children with dyscalculia have greater difficulties with different number tasks. The blue bars are the speed of responses (how fast you can answer a question) for the children with dyscalculia and the purple bars are the speed of responses for children without dyscalculia. A. During the dot counting task, children with dyscalculia are slower at counting dots when there are more than 10. B. During number naming, children with dyscalculia are slower at naming two-digit numbers (numbers larger than 10). C. In the number comparison task, children with dyscalculia are slower at choosing the bigger number. This picture comes from findings that were published by Landerl et al. . While trying to understand how children with dyscalculia understand numbers, researchers are also beginning to look at how the brains of children with dyscalculia may be organized differently from typically developing children. Functional magnetic resonance imaging (fMRI) is a tool we use to take pictures of your brain while you are working on different number activities. This allows us to see what parts of your brain are working while you are calculating math problems or processing different numbers. The intraparietal sulcus (IPS), which is located in the parietal lobe of your brain (see Figure 3), helps you complete different numerical activities , such as number comparison. But this may not be the case for children who have dyscalculia. For example, two studies found that children with dyscalculia did not use their IPS as much as their friends without dyscalculia when choosing the bigger number [4, 6]. These results tell us that dyscalculic brains do not work well with numbers, and that they seem to use their brains differently even when deciding which of two numbers is bigger, which might lead to difficulties in understanding numbers and learning simple arithmetic. You need to understand, though, that children with developmental dyscalculia do not have damage to their brains. Instead, their brains work differently. 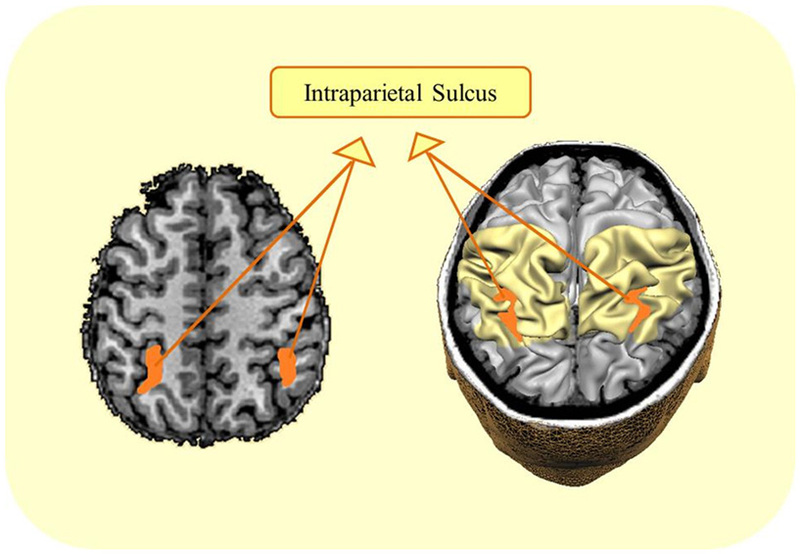 Figure 3 - The intraparietal sulcus (IPS) helps children understand the meaning of numbers. It is located at the back of the brain, in an area called the parietal lobe, which is the area colored in light yellow. The IPS is highlighted in orange in the picture. The brain picture on the left is a picture of a brain taken using a magnetic resonance imaging scanner. The brain picture on the right is a cartoon brain. We do not know a lot about how the dyscalculic brain develops. 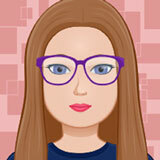 But we do know that children with dyscalculia have difficulties understanding numbers. If children at a young age have difficulties understanding their numbers, then it leads to even more problems learning harder arithmetic problems, as they are asked to learn these in school. When calculating 2 + 2, the brain of a child with dyscalculia is slower at processing the meaning of 2 and, as a result, finds it harder to add both numbers to find the answer 4. It is important to understand more about how the dyscalculic brain functions, so that we can find children who may have the disability. We hope that with more research and knowledge about dyscalculia, we can develop programs for teachers to use in school to help children who have difficulties learning math. It is important that all children can learn math to the best of their ability to be successful. The research we reviewed here shows that finding out problems early on might help to prevent problems later on. Finally, it is important for you to understand that finding math hard does not mean you have dyscalculia. 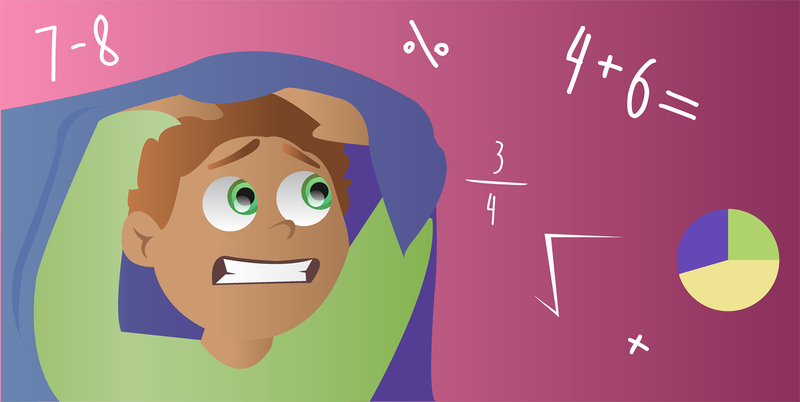 Some children find math frightening, but they could do it if given the right help. Children with dyscalculia need more help than others in order to do math, and they need to receive this help. Also, it is really important to know that, although children with dyscalculia seem to use their brains differently, this does not mean that they cannot change the way in which their brain works, as you can read in this paper: http://kids.frontiersin.org/articles/going_to_school_to_sculpt_the_brain/1. We can change our brains if we work hard at it. But we also need to realize that some children have difficulties which mean that they will find it more difficult, and these children need extra help. Currently, we know far less about what causes developmental dyscalculia compared to why some children have trouble learning how to read (developmental dyslexia). It is also unclear how different teaching approaches can help children who have dyscalculia. There have been various attempts to use computer games to help children with developmental dyscalculia but, currently, very little is known about how well such games work . In our laboratory, we are running new studies to find out more about developmental dyscalculia, and we hope to use this research one day to help make the lives of children with developmental dyscalculia easier, inside and outside the classroom . Do Teenagers Really Make Bad Decisions?